century consumers. 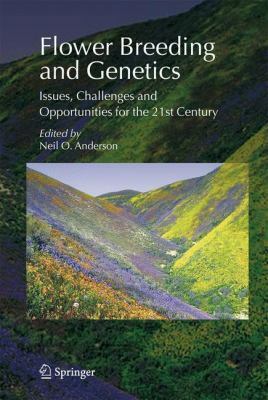 Part 1 of this book (flower breeding program issues) contains unique features of interest to horticultural professionals and students, include coverage of plant protection strategies, cultivar trialing methodology, germplasm collection/preservation, preventing invasiveness, and other timely topics. The collective body of knowledge for 24 flower crops (Part 2: Crop-specific Breeding and Genetics) represents the in-depth science and art of breeding technology available for bedding plants, flowering potted plants, cut flowers, and herbaceous perennials. Each author provides crop-specific history, evolution, biology, taxonomy, state-of-the-art breeding/genetics, classical/molecular technologies, species traits, interspecific hybridization, and directions for future development/enhancement.